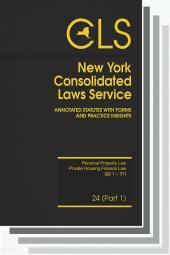 A compilation of selected parts of the New York Consolidated Laws most used in general legal practice. 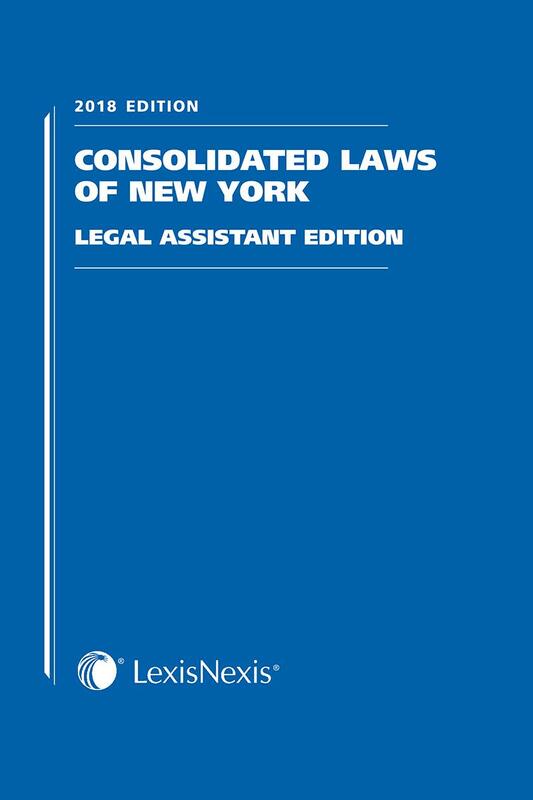 The New York Consolidated Laws Legal Assistant's Edition is a compilation of selected parts of the New York Consolidated Laws most used in general legal practice. 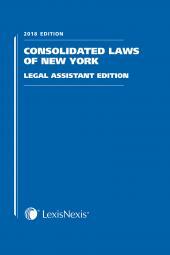 The Legal Assistant's Edition includes full text of the Business Corporation Law, Civil Practice Law and Rules, Criminal Procedure Law, Debtor and Creditor Law, Domestic Relations Law, Estates, Powers & Trusts Law, Family Court Act, General Construction Law, General Obligations Law, Limited Liability Company Law. 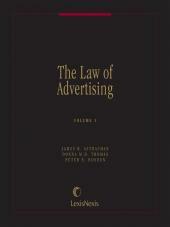 Penal Law, Real Property Actions and Procedure Law, Real Property Law, and Surrogate's Court Procedure Act. 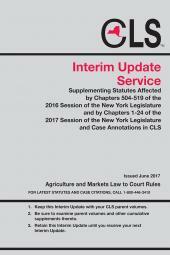 The Legal Assistants' Edition is unannotated.